A Morgan County man is facing murder charges after a body was found Wednesday morning. Human remains were found under some rocks at the bottom of an embankment near Herbert Shannon Road. 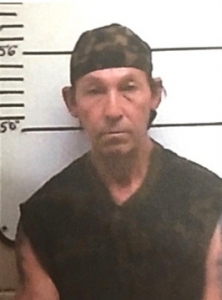 Authorities say 50-year-old Wayne Lindsay shot and killed John Hammond at Lindsay’s home on Herbert Shannon Road in November of 2018. The two had been in an argument and investigators say Lindsay shot Hammond while he slept. The release said, to the knowledge of the District Attorney and the sheriff’s office, no missing persons report had been filed for Hammond. Lindsay was already in custody for another case and is now facing First Degree Murder charges. The investigation is ongoing.